Our interview this week is with GB elite Jess Learmonth. We had a good giggle chatting to the Leeds based triathlete and you'll understand why when you hear the interview, it's really fun! Jess has a different story to many athletes on the British triathlon programme. Although she was a really good swimmer as a teenager, she quit at 16 and admits she was "a bum" for a couple of years. After travelling around the world, she only got into the sport in 2011 after doing a charity triathlon "for a bit of fun" through work. She has made rapid progress in triathlon though and by 2014 she was mixing work with racing in European Cups. 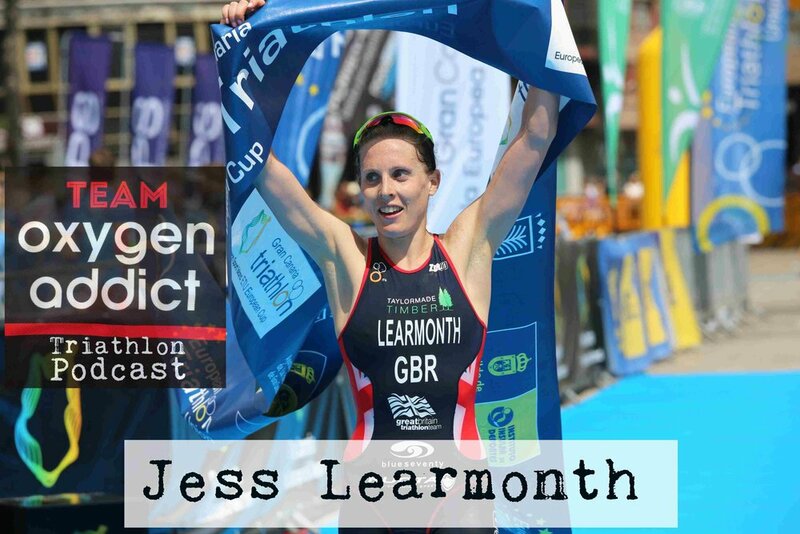 Jess is now a full time triathlete, with some impressive results including silver in the ETU European sprint championships, a top 10 finish at WTS Leeds 2016, and a bunch of ETU European cup victories. Team Oxygenaddict ( http://team.oxygenaddict.com ) - Event specific training plans, coaching guidance from coach Rob Wilby, and supportive team mates in a private facebook group.